Two large trucks full of chicken and ribs stood at the entrance as people crowded into the newly built clubhouse. The champagne poured, and for that New Year’s Eve night in 1967, the few residents who purchased memberships attended the opening of the Cape Coral County Club, the new golf course constructed in the middle of a not-so-densely populated town. Now-a-days it should be celebrating it’s 40th birthday, but Cape Coral’s first premier facility sits vacant, a shadow of its former self. It’s current owner, Scott Siler, closed the property down in December 2006 after incurring almost $4 million in losses in the five years he owned the property. It was owned by the Avatar corporation before that, which purchased it from Gulf American Land Corporation in the late 1970s. 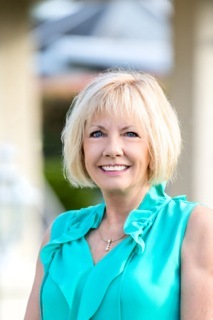 District 4 Councilmember Dolores Bertolini will hold a town hall meeting from 6:30-8:30 p.m., Wednesday, Feb. 21, at the Cape Coral Association of Realtors, 918 S.E. 46th Lane, in Club Square. to discuss the possibility of the city of Cape Coral purchasing the land. Recently, the city council funded two appraisals of the value of the land. The city also completed a feasibility study with four possible options for use of the property. The council will consider all these options during a workshop meeting set for 3 p.m., Monday, Feb. 26. The second appraisal came in last week and estimated the value of the land at $13.8 million if a golf course reopened on the property. This estimate also includes the potential to develop a resort hotel. n The city purchasing the entire property and operating it as a park or golf course. n The city purchasing the property by selling surplus lands in other areas to help finance the sale. n The city owning and operating a golf course on the land, with the private sector developing a resort hotel. n A private entity purchasing the land and developing a resort hotel and golf course with city incentives. With a city divided over what to do with a big, open space, the memory of better days is fading into the sunset for the once pristine greens. In 1972, the National Collegiate Athletics Association held its championship tournament at the club. It was the first time they played it in Florida, and future golf legends Tom Kite and Ben Crenshaw teed off as part of the field. Over the years, many junior golf tournaments graced the greens and Ladies Professional Golf Association founder Patty Berg used to play rounds under the sun. John McAlary, whose backyard has touched the driving range on the course for 23 years said he wants the club to return to its full form, but without the city at the helm. The property is currently not for sale on the open market. Siler said he is giving the city time to decide what it wants to do with their appraisals, but thinks the golf club has run its course. Mayor Eric Feichthaler, who used to shoot the pars with his grandfather, said he would like to keep it a golf course, but without the use of city funds. District 2 councilmember Richard Stevens said that it’s mostly those who live on the property that would like to see it re-open as a golf course. Still, some long for the simpler days when the property was all they knew. The book “The Other Side of the River” by Betsy Zeiss sums up the feelings of the time towards the opening of the recreational marvel.